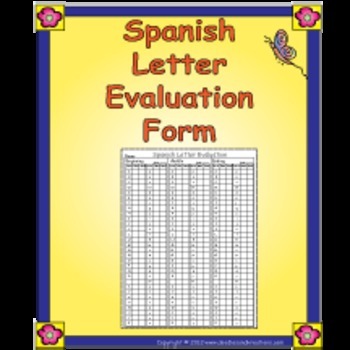 Use this Spanish letter evaluation form to test your student's knowledge of letter name and sound. Form includes three sections for testing at the beginning, middle and end of year. Use our Spanish Alphabet Matching Cards as your testing cards. Spanish Letter Evaluation Form by Doodles and Kreations LLC is licensed under a Creative Commons Attribution-NonCommercial-NoDerivs 3.0 Unported License.